ABU DHABI: The UAE economy is expected to grow at 3.9 per cent in 2018 spurred by inflow of foreign direct investment (FDI) as well as growth in tourism and travel sectors, a top government official said on Tuesday. “The country keeps excelling in growth economically and is encouraging foreign investment. We expect a growth of around 2 to 3 per cent in FDI in 2018,” said Abdullah Al Saleh, undersecretary of the ministry of economy for foreign trade, citing a forecast by the UAE Central Bank. 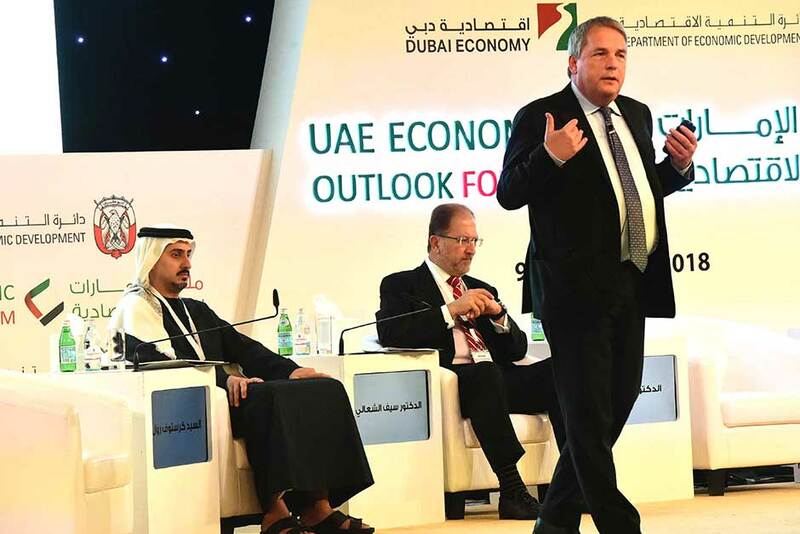 Al Saleh was speaking at the UAE economic outlook forum in Abu Dhabi. The International Monetary Fund (IMF) in October said that the UAE economy would grow at 3.4 per cent in 2018. When asked on the impact of value-added tax (VAT) on the economy, he said it would strengthen the UAE’s economy and will keep the growth healthy and sustainable. Speaking at the same forum, Saif Mohammad Al Hajeri, chairman of Department of Economic Development, Abu Dhabi, predicted a growth rate of approximately 3 per cent for the capital by the end of 2018 with the support of non-oil economic activities growth of 4.2 per cent. “Despite the instability of the global economy, the Abu Dhabi’s economy has proven that it is capable of absorbing all shocks and dealing with various challenges successfully,” Al Hajeri said. He also said gross domestic product (GDP) has achieved a growth totalling nearly 4.2 per cent on average in relation to fixed prices during the period of 2012-2016 with the support of non-oil economic activities that have considerably increased during the same period with a growth totaling around 5.7 per cent on average. Dubai’s economy, meanwhile, is expected to grow by 3.5 per cent in 2018 and 3.7 per cent in 2019, driven largely by external factors and the positive impact of the strategic initiatives launched by the government of Dubai as part of Dubai 2021 plan, according to Sami Ahmad Al Qamzi, director general, Dubai Economy. “In addition to hosting the Expo 2020, Dubai has continued to roll out mega infrastructure projects. The cyclical recovery in the global economy and the relative economic slowdown that prevails in the region due to oil price correction and the fiscal controls have been well factored into our growth projections,” he said.